Hello lovers!! 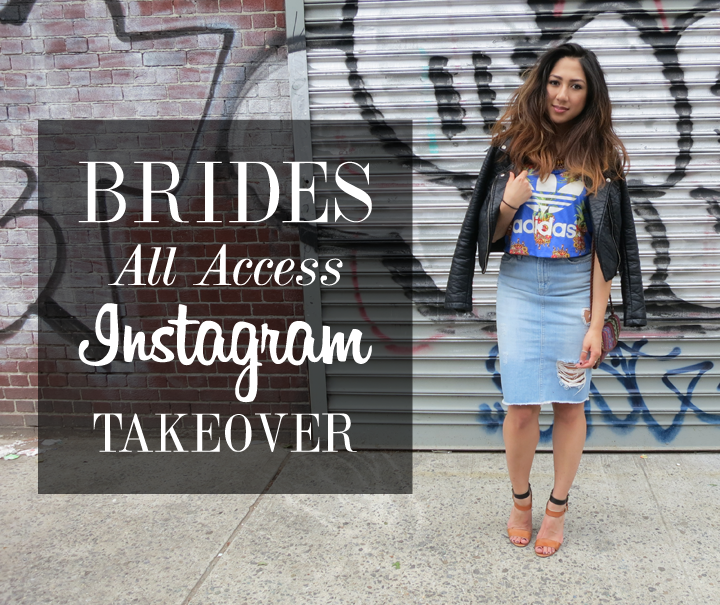 I'm happy to share that I will be taking over the BRIDES All Access Instagram account for the next couple of days! Woo hoo!! Let's just hope they don't regret this :). Separate from the BRIDES Instagram account, BRIDES All Access gives you a behind-the-scenes look at the BRIDES creative services team (go team!) and all of the pretty things that inspire us for events, promotions, and weddings. I can't wait to share my daily and weekly activities with you and the BRIDES All Access audience so please be sure to follow and comment on @bridesallaccess! That is so fun! Also, loving your jean skirt. An important part of creating brand loyalty on social media is to take time to reply to your followers' comments. helpful resources for Instagram best Engagement.